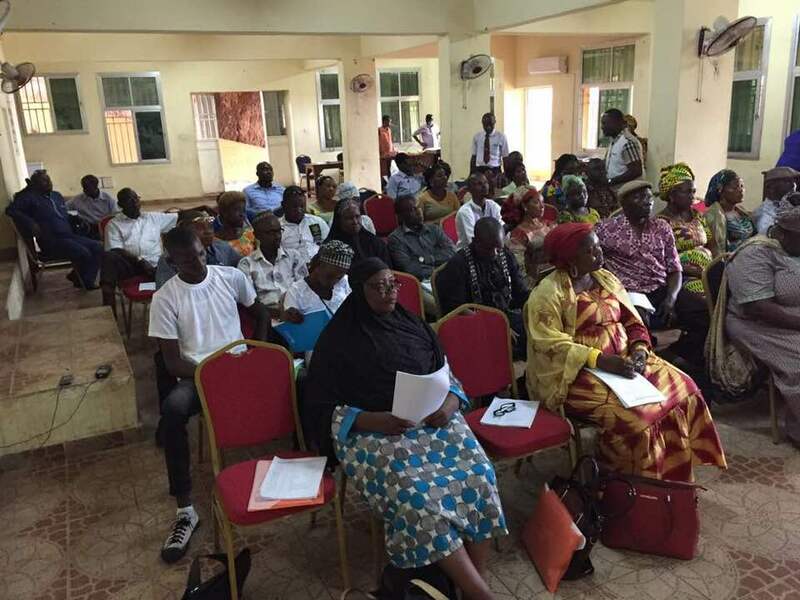 30 participants of whom 60% were women attended a 5-day training workshop on negotiations and strategy course for organisers and leaders of workers in street vending and informal market vending sectors, who represented 5 regions of Sierra Leone. The workshop was held at the Sierra Leone labour congress conference hall in Freetown from the 28th May to 1st June 2018. The official opening ceremony of the workshop was inaugurated on the 28th of May by Jennings A. A. Wright the president of Sierra Leone Labour Congress in the presence of Chiblee F. Kamara, the representative of the Ministry of Labour, Isata Bangura, the representative of UNDP, the representative of the Mayor of Freetown, James Samba. The presence of StreetNet International Coordinator, Pat Horn, also graced the occasion. The participants came up with a work plan to revive the Municipal Trade Committees established in term of local Council Act 2004. They planned to start negotiations with local authorities in the 5 regions represented at the workshop. The work plan was to run for 4 months until October 2018 when StreetNet hold the follow up workshop. To acquire these notions participants worked in groups in each of the 11 activities: Identify negotiations they already involved in, Skills for a good negotiator, Strategies and Tactics of negotiations, Negotiations procedures, Field visit (participants visited the Mayor’s office, the Central Police and Metropolitan police of Freetown), Overcoming obstacles to collective negotiations in the informal economy, Case studies: review and critique, case studies: lessons on follow up, Writing skills: basic agreements, Establishing new local level collective negotiating forums, Evaluation. Participants also read the course models adapted for the informal economy, such as StreetNet’s Model Frame negotiations forums at local government level, ICC manuals on Organising Workers in the Informal Economy. Facilitated by Jane Masta and Sibailly Maximilien Douhouré, StreetNet Organisers for Africa, the workshop ended on the 1st of June after an evaluation of the participants.